This Wiki page aims to provide readers with a background understanding of Burner’s syndrome (also known as Stinger’s syndrome), why the young athletic population are more at risk and give an insight into the different management options which are available. We will discuss the various treatment options supported by research evidence, with a focus on the efficacy of each treatment options in returning the athlete to the sport and how to help prevent future recurrence and potentially more severe neurological developments. Burner’s syndrome is a common injury in contact sports and reflects an upper cervical root injury or a peripheral nerve dysfunction injury. It is a transient nerve injury which occurs following over-stretching of the upper trunk of the brachial plexus or compression of the C5/C6 nerve root, depending on the mechanism of injury. Recurrences are common and can lead to permanent neurologic deficits. Burner’s syndrome tends to be a grade I or grade II nerve injury. Grade I- Neuropraxia; a disruption of nerve function involving demyelination . Axonal integrity is preserved, and remyelination follows within three weeks . Grade II- Axonotmesis; in which axonal damage  and Wallerian degeneration occur . Grade III- Neurotmesis; complete nerve transection (neurotmesis), or permanent nerve damage . For more information please see 'Classification of Peripheral Nerve Injury'. Burners injuries mainly present as a grade I or II classifications . Burners’ may be the most common upper extremity nerve injury seen in competitive athletes . A forceful blow causing depression of the shoulder and lateral flexion of the neck to the contralateral side, leading to traction of the upper roots of the brachial plexus   . A direct blow to supraclavicular fossa or Erb’s point causing a percussive injury   . Compression of nerve roots or brachial plexus when the head is forced into hyperextension and ipsilateral side flexion towards the side of trauma . This significantly narrows the intervertebral foreman at the cervical spine, causing the compression of the nerve root . However, research revolving around cervical foramen, canal and disc abnormalities is ambiguous. Some studies have shown significant associations with cervical stenosis/foraminal stenosis/disc abnormalities with burners   whereas other studies identified asymptomatic individuals with similar abnormalities . It also appears that this mechanism of burners syndrome is more commonly seen in high-level athletes . Burner’s syndrome is most commonly seen in collision or contact sports such as American football, ice hockey, and rugby. The incidence of this is thought to be rather high; involving between 50 and 65% of collegiate American football players. This statistic is in fact quite likely higher than estimated due to a relatively high incidence of non-reporting by these same collegiate players. The majority of research has been completed with American football players. It occurs most commonly in linebackers and defensive backs while tackling. It may also occur with running backs or linemen while blocking or being tackled . There is also a very high incidence recurrence, which must be addressed by the medical staff to minimise this problem. Studies conducted on rugby players highlights similar mechanisms of injury, the main one being tackling . The majority of burners occur due to tackling in impact sports such as American football and rugby union. While burners are usually brief and self-limited, recovery can take weeks or months in some cases. The injury often recurs and occasionally leads to a chronic syndrome. Immediate, acute traumatic onset of pain/burning/paresthesia/pins and needles/weakness. It is important to acquire details on the pain quality, intensity, location and radiation. Typically presents with symptoms circumferentially radiating down the arm. Reports recent history of trauma to the area. Common in young athletes competing in contact sports. These changes can take several weeks to develop. These symptoms are not specific to burners syndrome and should alert clinicians to differential diagnoses. Symptoms can arise at the neck and/or shoulder. Possible decrease in neck and shoulder mobility. Adductor digiti minimi - abduction of the 5th digit. There may be a decrease in shoulder and neck strength. This can either be acutely or develop several days later   . Possible reduction in the speed of reflexes. Both tests may be positive for burners. A diagnosis of burners is usually made through clinical examination and past medical history. However, diagnostic studies can be completed if there are signs of differential diagnoses. For example, altered mental status, decreased cervical range of motion, neurological symptoms affecting more than one extremity, signs of a fracture, indications of a spinal cord injury . X-Rays can be indicated to rule out bone injuries. They should be performed if the patient presents with the following; severe neck pain, focal cervical spine tenderness, a limited cervical range of motion, weakness, or recurrence of burners injuries    In cases when the involvement of the spinal cord or nerve roots cannot be ruled out, MRI or computed tomography can delineate abnormalities. Acutely, it is necessary to rule out serious injuries such as cervical fracture (use Canadian C-Spine Rule if a fracture is suspected), cervical dislocation, or spinal cord injury prior to further evaluation. A cervical fracture or a spinal cord injury are assumed if there are bilateral symptoms until proven otherwise. Other diagnoses include; clavicle fracture, shoulder dislocation, acromioclavicular sprain and thoracic outlet syndrome . Radiculopathy can also present similarly to burners syndrome. However, from the image below, you can see there are differences in the acute presentation . Flexibility and weakness of the neck and shoulder increase an individual's risk of having a burners injury . A chest-out posture is encouraged because this position opens the intervertebral foreman maximally, so are not compressing the nerve roots. It also reduces the compressive effect of the weight of the head on the nerve roots. 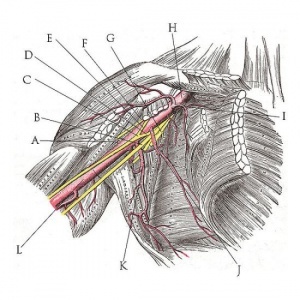 Finally, it helps to activate the scalene muscles, which decreases the compression of the brachial plexus  . Neck, shoulder and trunk strengthening exercise programmes are advised for treatment of burners injuries  . Restoring pain-free mobility to full range is the first objective. After this strengthening of the neck and shoulder is addressed, starting from concentric exercises working to eccentric along with gradual loading plus various speeds and directions, throughout the programme. Any sport specific therapy should also be addressed . Finally, the athlete's playing style needs to be evaluated and suboptimal technique should be corrected to minimise the risk of re-injury  . The NCAA (2003), highlighted the importance of re-checking the fit of protective equipment, such as shoulder pads for individuals recovering from a burners injury. They also encouraged the use of extra protective equipment such as neck rolls or collars . Studies have shown cervical extension to be limited when players are using neck rolls or collars . Individuals with a burners injury should be re-examined weekly until symptoms have completely resolved, the mobility at the neck and shoulder have become full and pain-free, and strength normalises . To return to sport the athlete must remain asymptomatic throughout training and competitions. The NCAA  identify that no clear guidelines for returning to sport have been created, after a burners injury. This may be why recurrence of the injury is very high. The length of a burners injury is determined usually by the severity of the injury. For some individuals, the effects will have worn off in minutes while for others, recovery can take weeks or even months . Burners re-occur frequently, as high as 87% in some studies . The risk of experiencing recurrent burners injuries is permanent damage to the nerve. However, this risk is small , but may be due to the high level of non-reporting that takes place in many sports . Injury risk can be reduced by the wearing of protective gear, such as butterfly restrictors (KC 59). Screening prior to returning to sport is crucial in preventing recurring burners. The clinician should identify any factors that increase the risk of the individual attaining another burner injury . This includes; the number of previous burner injuries, limitations into the range of motion and strength at the neck and shoulder, abnormalities at the intervertebral foramen, canal or disc, or poor technique that has not been corrected. The risk of contracting a burner can be minimised through appropriate and effective protective gear, questioning athletes around previous Burner’s or other cervical pathology and Identifying deficits in strength and ROM. ↑ 2.0 2.1 2.2 2.3 2.4 2.5 2.6 2.7 2.8 Hershman EB. Brachial plexus injuries. Clin Sports Med 1990; 9:311. ↑ 8.0 8.1 Di Benedetto M, Markey K. Electrodiagnostic localization of traumatic upper trunk brachial plexopathy. Arch Phys Med Rehabil 1984; 65:15. ↑ 9.0 9.1 9.2 9.3 9.4 Markey KL, Di Benedetto M, Curl WW. Upper trunk brachial plexopathy. The stinger syndrome. Am J Sports Med 1993; 21:650. ↑ 12.0 12.1 12.2 Odor, J., Watkins, R., Dillin, W., Dennis, S. and Saberi, M. (1990). 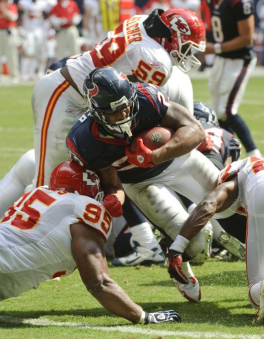 Incidence of cervical spinal stenosis in professional and rookie football players. The American Journal of Sports Medicine, [online] 18(5), pp.507-509. Available at: http://journals.sagepub.com/doi/abs/10.1177/036354659001800510?url_ver=Z39.88-2003&rfr_id=ori:rid:crossref.org&rfr_dat=cr_pub%3dpubmed [Accessed 28 May 2018]. ↑ 13.0 13.1 Meyer, S., Schulte, K., Callaghan, J., Albright, J., Powell, J., Crowley, E. and El-Khoury, G. (1994). Cervical Spinal Stenosis and Stingers in Collegiate Football Players. The American Journal of Sports Medicine, [online] 22(2), pp.158-166. Available at: http://journals.sagepub.com/doi/abs/10.1177/036354659402200202?url_ver=Z39.88-2003&rfr_id=ori:rid:crossref.org&rfr_dat=cr_pub%3dpubmed [Accessed 28 May 2018]. ↑ Kelly, J., Aliquo, D., Sitler, M., Odgers, C. and Moyer, R. (2000). Association of Burners with Cervical Canal and Foraminal Stenosis. The American Journal of Sports Medicine, [online] 28(2), pp.214-217. Available at: http://journals.sagepub.com/doi/abs/10.1177/03635465000280021201?url_ver=Z39.88-2003&rfr_id=ori:rid:crossref.org&rfr_dat=cr_pub%3dpubmed [Accessed 28 May 2018]. ↑ Boden, S., McCowin, P., Davis, D., Dina, T., Mark, A. and Wiesel, S. (1990). Abnormal magnetic-resonance scans of the cervical spine in asymptomatic subjects. A prospective investigation. The Journal of Bone & Joint Surgery, [online] 72(8), pp.1178-1184. Available at: https://www.ncbi.nlm.nih.gov/pubmed/2398088. ↑ Presciutti, S., DeLuca, P., Marchetto, P., Wilsey, J., Shaffrey, C. and Vaccaro, A. (2009). Mean subaxial space available for the cord index as a novel method of measuring cervical spine geometry to predict the chronic stinger syndrome in American football players. Journal of Neurosurgery: Spine, [online] 11(3), pp.264-271. Available at: http://thejns.org/doi/abs/10.3171/2009.3.SPINE08642?url_ver=Z39.88-2003&rfr_id=ori:rid:crossref.org&rfr_dat=cr_pub%3dpubmed. ↑ Cunnane M, Pratten M, Loughna S. A retrospective study looking at the incidence of 'stinger' injuries in professional rugby union players. Br J Sports Med 2011; 45:A19. ↑ Viikari-Juntura E, Porras M, Laasonen EM. Validity of clinical tests in the diagnosis of root compression in cervical disc disease. Spine (Phila Pa 1976) 1989; 14:253. ↑ Poindexter, D.P. and Johnson, E.W., 1984. Football shoulder and neck injury: a study of the" stinger". Archives of physical medicine and rehabilitation, 65(10), pp.601-602. ↑ Speer, K.P. and Bassett III, F.H., 1990. The prolonged burner syndrome. The american journal of sports medicine, 18(6), pp.591-594. ↑ McKeag DB, Hough DO. Primary Care Sports Medicine, WC Brown Communications, Dubuque IA 1993. ↑ Elias, I., Pahl, M.A., Zoga, A.C., Goins, M.L. and Vaccaro, A.R., 2007. Recurrent burner syndrome due to presumed cervical spine osteoblastoma in a collision sport athlete–a case report. Journal of brachial plexus and peripheral nerve injury, 2(1), p.13. ↑ Weinstein SM. Assessment and rehabilitation of the athlete with a "stinger". A model for the management of noncatastrophic athletic cervical spine injury. Clin Sports Med 1998; 17:127. ↑ Nissen SJ, Laskowski ER, Rizzo TD Jr. Burner syndrome: recognition and rehabilitation. Phys Sportsmed 1996; 24:57. ↑ 29.0 29.1 Thein L. Rehabilitation in shoulder injuries. In: Rehabilitation Techniques in Sports Medicine, 2nd, Prentice WE. (Ed), Mosby-Year Book, St. Louis, MO 1994. ↑ Hovis WD, Limbird TJ. An evaluation of cervical orthoses in limiting hyperextension and lateral flexion in football. Med Sci Sports Exerc 1994; 26:872. ↑ Cantu RC. The cervical spinal stenosis controversy. Clin Sports Med 1998; 17:121. ↑ Watkins RG, Dilin WM. Cervical spine and spinal cord injuries. In: Sports Injuries: Mechanics, Prevention, Treatment, Fu FH, Stone DA. (Eds), Williams & Wilkins, Baltimore, MD 1994.